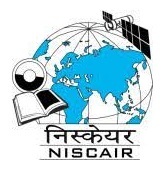 NISCAIR Recruitment 2017 2018 Walk-In 11 Research Interns Vacancies. NISCAIR Walk-in Interview 2017 2018 B.Tech B.E M.Sc M. Lib. Science 11 Research Interns Vacancy Delhi. NISCAIR which is known as National Institute of Science Communication and Information Resources released recruitment notification for 11 Research Interns Positions in Delhi. Not more than 25 yrs. as on the date of interview which is relaxable up to 5 years in case of SC/ ST/OBC/ Physically Handicapped and female candidates. the expiry/termination of the internship. Mode of Selection: Candidates must report at the NISCAIR reception desk on 08/01/2018 at 9.00 A.M. (Candidates will not be entertained after 9.30 A.M.). The selection of the RIs would be based on (a) academic records, and/ or (b) performance in the test and (c) interview. In case the number of candidates is large the Selection Committee may adopt higher cut off the percentage of academic records, as a measure to shortlist candidates for interview. The walk-in may continue next day depending upon the number of candidates. The prescribed application form can be downloaded from NISCAIR website and duly filled in forms may be submitted at the time of interview. The application forms should be accompanied by attested photograph and copies of testimonials/ certificates in support of age, educational qualifications, experience and caste/tribe etc. mentioned in the application. The applicant must also bring all original certificates/ testimonials at the time of test/ interview for verification. Date: 08/01/2018 at 9.00 A.M. Candidates will not be entertained after 9.30 A.M.